The military has used electronic games and simulations for years to train its soldiers, sailors, airmen and Marines. Now, the Navy is using a massive, multi-player online game to develop new acquisition strategies. 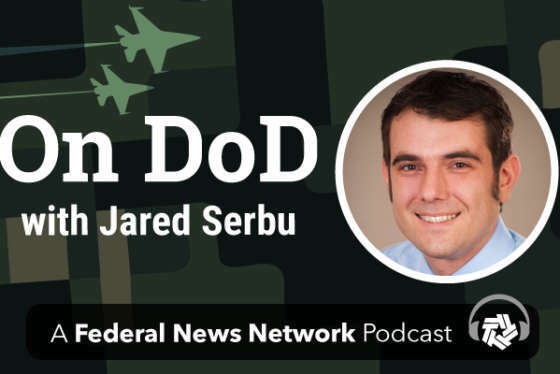 On this week’s edition of our Agency of the Month radio show, host Sean McCalley talks with Nick Guertin, the Navy’s director of Transformation in the Office of the Deputy Assistant Secretary of the Navy for Research, Development, Test and Evaluation, about the new strategy. They also discuss the Navy’s new checklist for acquisition professionals. Mr. Nickolas Guertin is the director for Transformation in the Office of the Deputy Assistant Secretary of the Navy for Research, Development, Test and Evaluation. He has extensive experience in Open Systems Architecture product development for weapons, sensors and ship systems. He also has expertise in ship construction and repair. He leads the transformation of business, technical, and cultural practices for OSA acquisition of national security systems as a coordinated Naval Enterprise effort. He also leads the chartered Department of Defense OSA and Data Rights Team supporting the Better Buying Power initiative.